A good English made European Advanced base Command. Removed from uniform, quality work. 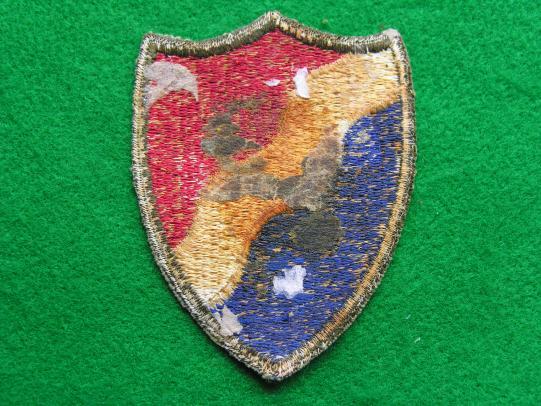 Measures 3 1/8" x 2 1/2"
Measures 3 1/8" x 2 1/4"
A set of four sleeve badges in near mint condition. Represent 1 to 4 years service. A good used Allied Forces H.Q. 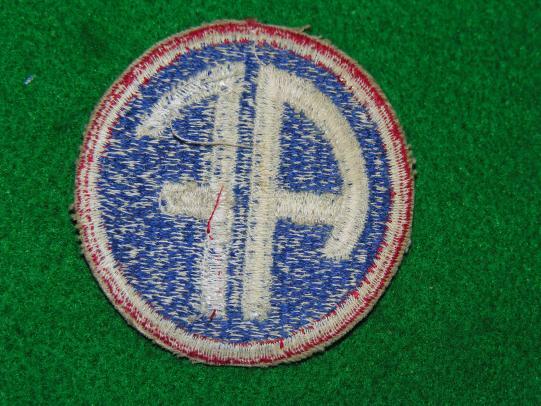 patch, some wear. 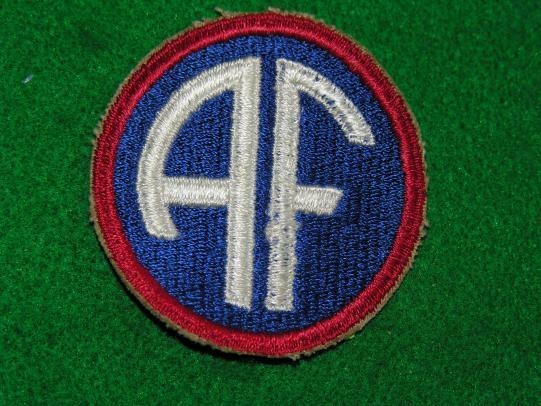 AFHQ was established in the United Kingdom in August 1942 under Lieutenant General Dwight David Eisenhower in order to command the forces committed to Operation Torch, the Allied invasion of French North Africa, set for November. 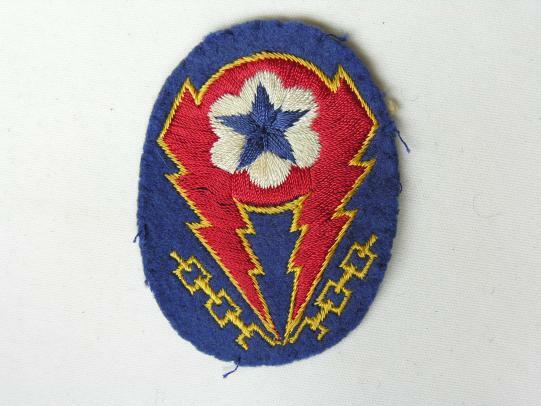 Eisenhower had the title Commander-in-Chief, Allied Expeditionary Force. 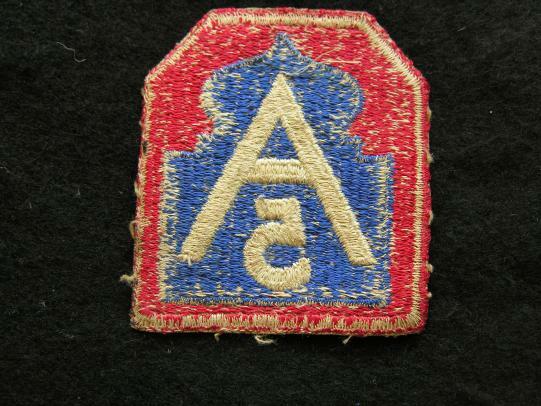 A good embroidered Anti Aircraft Command patch. 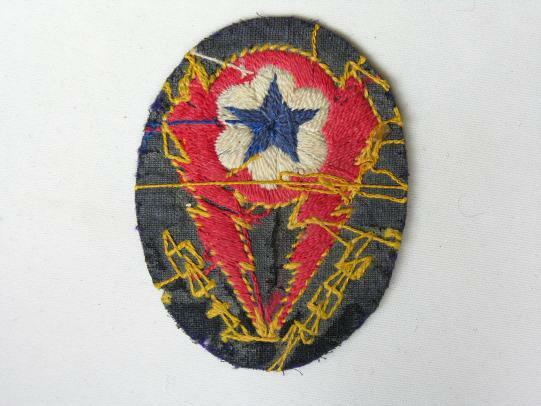 A Southern Defence Command patch, removed from album with some glue residue to the back. 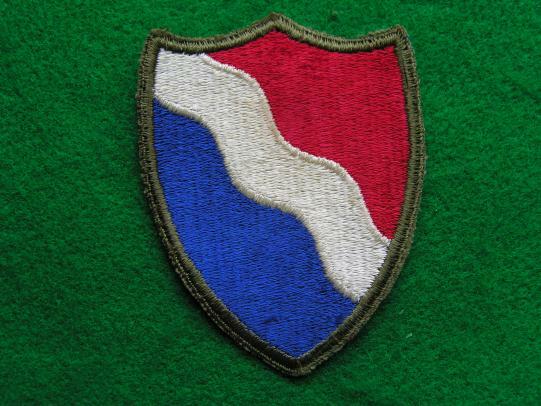 Measures 3 9/16" x 2 3/4"
Southern Defense Command (SDC) was established on 17 March 1941 as the command formation of the U.S. Army responsible for coordinating the defense of the Gulf of Mexico coastal region of the United States. A second major responsibility of SDC was the training of soldiers prior to their deployment overseas. 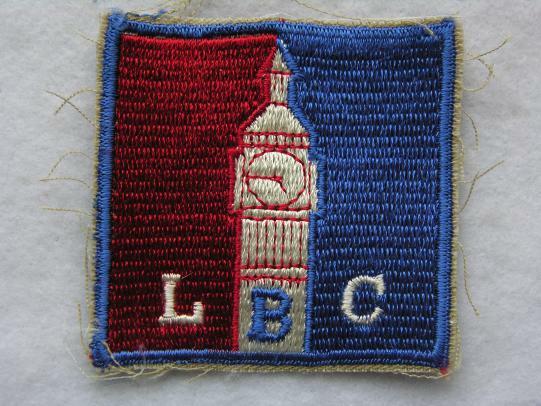 A London Base Command patch. Good post war manufacture. 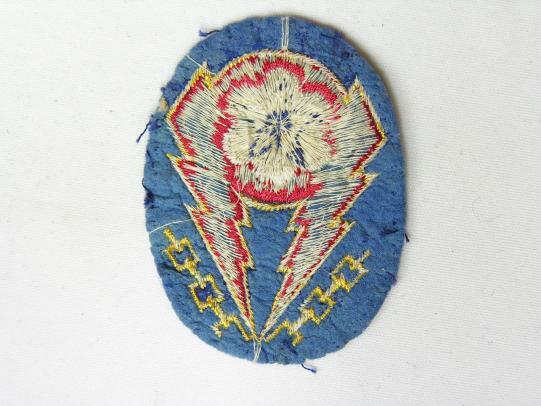 I am always looking for original period patches but they are scarce and tend to be expensive. 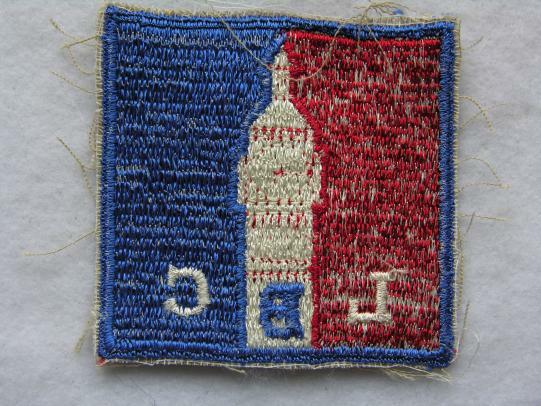 London Base Command was established as a unit of the ETO, 16 October, 1942 until March 1943 when SHAEF was established. 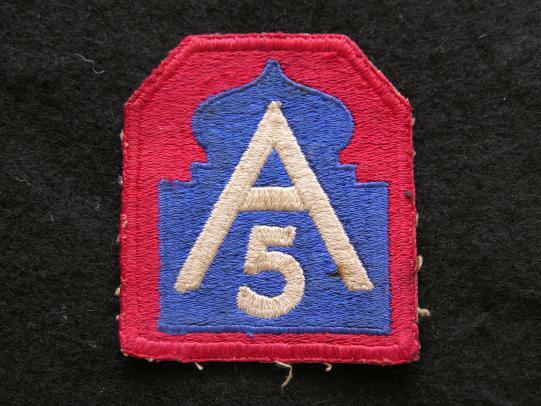 WWII U.S.Army 5th Army Patch, removed from uniform, some service wear. Have several in stock.